Zoe Mode and Sega returns with their Playstation Portable puzzle platformer (That’s P to the fourth power.) now on the Nintendo 3DS. The demo for the game was released in the US Nintendo eShop for all to download this week. Those who are curious about the 3DS edition of Crush will notice that while the gameplay itself has not changed, the aesthetics have taken a turn to look cleaner and less disturbing than the game’s tone and plot on how Danny travels to the depths of his mind. Possibly due to the developer’s attempt to gain attention of a wider audience considering some of the other titles put out by the developer including Chime and Haunt. The game will be available for US retail by next week but is already available in the UK in stores along with the demo on the eShop. Impressions on the demo, including some of the differences between both versions of the game can be found after the jump. If it hasn’t already been made apparent, this is not a sequel to the first game. All the levels are exactly the same with a change in tone in both terms of the environments and even the overall plot. The demo didn’t go into the same detail as to why the player character Danny chose to cure his problem by trusting the doctor and his wonder-machine C.R.U.S.H. Playing the game side by side with its previous incarnation shows that the developer chose not to go into detail on Danny’s descent to depression driven by his insomnia. Instead Danny is just assisting the doctor to go adventuring to the depths of his mind and testing out C.R.U.S.H.’s 2D and 3D capabilities and soon becomes trapped and must escape the machine The environments this time around are brighter, more cheerful, with Danny sounding and looking more spry and capable compared to the original version’s dreary setting. The soundtrack is still the same and as bizarre as it was in the previous version, however the game now forfeits voice overs for the characters, making some of the story beats a little tedious to read through. Levels and objectives are exactly like the original. Using the directional pad will position the camera into different positions and allow the player to “Crush” the screen to flatten the world into a two-dimensional picture. This allows Danny to travel to platforms and other obstacles that would otherwise be at a greater distance. This also allows collecting items and triggering events that can’t normally be seen or used in 3D. Danny can jump a short distance to get from one place to another, but can either cripple himself from falling a great height or into the void that causes him to restart the level or from a checkpoint. 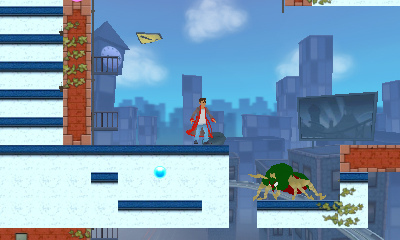 The game will assist the player by preventing Danny from falling off if the height is too great for him taking away pressure from the platforming aspect so players can focus on solving some of the trickier puzzles. 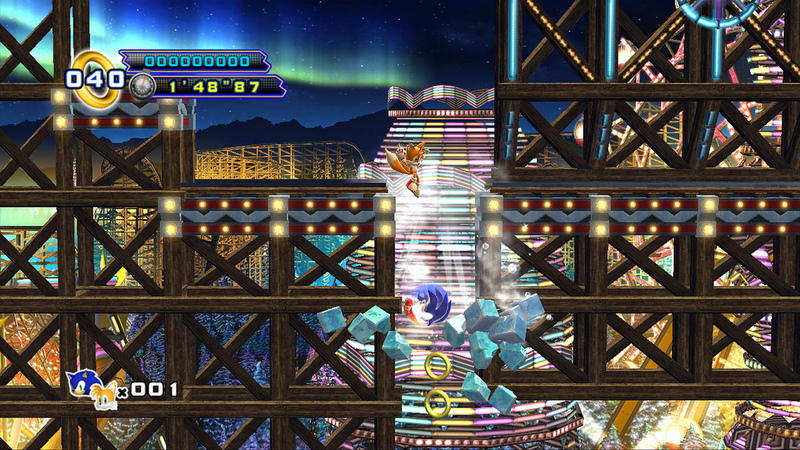 To complete levels, players must collect half of the orbs placed in the levels and reach the goal to proceed onward. The 3DS version now grades players based on three factors: The amount of orbs collected, collecting the trophy and artwork items hidden in each level and unlike the PSP version, the game will grade based on how many hints are used for the level. Getting all the items, not using hints will grant the best score and the game will acknowledge if a level has been beaten with all objectives completed on a first attempt. When completing levels, the game will unlock trophy challenges, concept art and different coats for the players to dress Danny with. None of which are available in the demo. 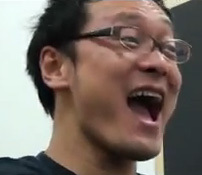 In terms of 3D usage, the game doesn’t do anything to strain the eye sight and will automatically convert the screen to 2D when “Crushing” the screen. Crush was a mighty fine game, and while Crush3D is by and large the same game, it’s still definitely recommended to check out by at least downloading the demo. Of course, the original PSP version is available, and at a cheaper price point if found in retail stores or through the Sony Entertainment Network. Still, the game’s puzzle elements and light platforming prove to be an enjoyable experience that fits well for the Nintendo 3DS’ lineup. Quick question: why are there non-Sonic posts on the main page’s feed? Seems a bit out of place on a site named and dedicated to the information and adoration of only one Sega franchise, whose name is in the website’s title. We ARE more than just Sonic Retro right now. While this is under the Sonic Retro side of the label, Sega general news also gets highlighted, though without as much focus, because of this. Sega Retro news hasn’t been invented yet. Though it should be. If we were to cover Sega-related news “properly” it would completely eclipse the Sonic-related stuff.